You have 10 minutes to do this quiz. Get as many points as possible! 1) What type of coffee does Uganda mainly produce? 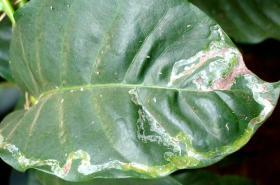 2) This pest is devastating coffee crops in Uganda as well as cocoa and other woody plants. Scientific name gets 5 points. Common names 1 point. 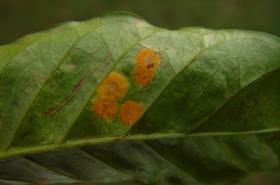 3) This fungal disease had a devastating effect on the production of coffee in Uganda since the mid-1990s. 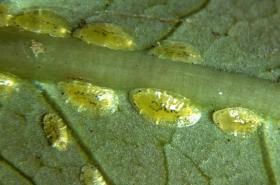 Either scientific name (anamorph or teleomorph) is worth 5 points. The common name is worth 1 point. 4) Hypothenemus hampei is commonly known as what? 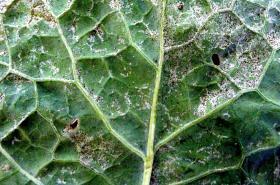 5) Which of the following looks like Red Blister or Brown Eye Spot (Cercospora coffeicola)?